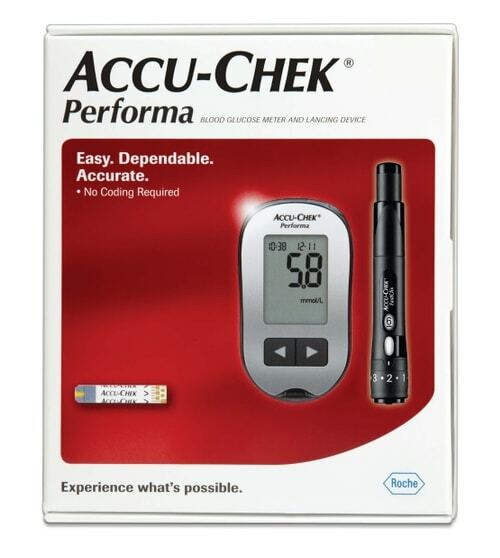 The Acc-Chek Performa system is designed to measure the glucose in the blood with a fast 5 second test. The kit includes a glucose meter with battery, Accu-Chek Fastclix Lancing Device . The Special Authority for Accu-Chek Performa test strips is no longer available. If you received Special Authority to use the Accu-Chek Performa you are eligible to change to one of the funded CareSens meters. You will need to do this prior to August 1st 2018. You can continue to use your Accu-Chek FastClix lancing system as this was not affected by the PHARMAC changes. There is no need to dispose of it. Replacement drums continue to be available at Diabetes Christchurch. For those who wish to continue to use this meter and self fund, Diabetes Christchurch does have the strips available for sale.